1. 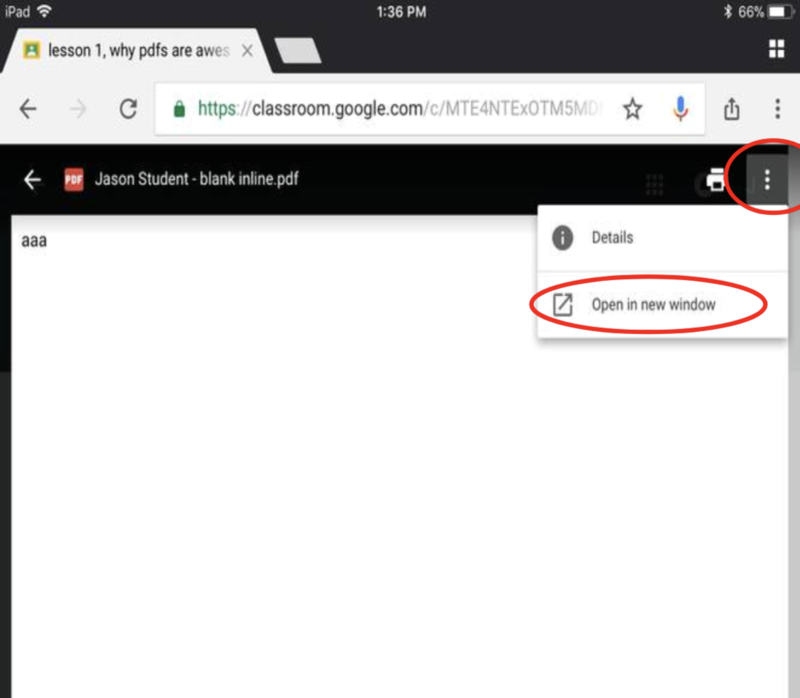 Click the three vertical dots in Google Classroom (not in Chrome), and select "Open in new window." 2. Next, click the three vertical dots in Google Chrome (not in Google Classroom). 3. Select "Open with," and then select Kami. Note: For Safari, it is the same process, except for step 2 you will need to press and hold the page refresh button instead of the three dots in Chrome.